I Just Want to Pee Alone: I'm Not Pro-Breastfeeding. I'm Not Pro-Bottle. I'm Pro-Mom. I'm Not Pro-Breastfeeding. I'm Not Pro-Bottle. I'm Pro-Mom. Last week I read about an initiative that’s spreading across the country which truly emanates a lack of support for some new moms. Although I touched on my opinion on the subject in a recent post I called, “I don’t care about your parenting,” I thought I’d delve a little deeper into an issue that seems to spark so much controversy. You know it as one of the major battles in the on-going mommy wars – breastfeeding. These days simply putting the word breastfeeding into a blog post is like chumming the sea, and despite my first instinct being to yell “Get out of the water!” I want to believe that deep down, we all are operating under the assumption that we’re on the same team. That’s why I’m going to try to ride this one out; I just hope I don’t need a bigger boat. Formula, which is still part of the overall cost of your hospital stay after giving birth here in Delaware, will be provided if you request it. You are just no longer permitted to receive the FREE formula that companies are willing to provide at no cost to the hospital, state, or new moms. Do you know what does cost money? Instead of putting money into providing additional education for expecting mothers on the benefits of breastfeeding, or providing additional support for new moms after they leave the hospital, or even for providing employers the education and incentives to help working moms who are breastfeeding, Delaware, along with two others, have decided to put man hours and money behind an initiative to remove free of charge formulas to mothers who may or may not choose to bottle feed their babies. Congratulations, Delaware! You’re third in line to accomplish nothing! This is a giant step nowhere! When my oldest was born, ten years ago now, I had planned to nurse. I received some help in the hospital from the nursing staff, and I also had a lactation specialist visit my room. I was a nervous new mom, but breastfeeding wasn’t as hard as I had feared, and we settled in quite easily. In fact, breastfeeding was a breeze… until it wasn’t. No, it’s not what you might think if you are a ‘Ban the Bag’ supporter; although I did receive free formula – a small can of powder formula from Enfamil and four small ready to feed bottles of Similac- that didn’t influence my breastfeeding decision. I didn’t look in my free bag, and think that the hospital, which helped me start nursing, wanted me to stop and use this free formula. No, I stopped because I returned to work. I was working four days a week at the time for ten hours a day, and I was told by my employer that as a nursing mother, I was welcomed to pump while I was at work…in the bathroom. I didn’t even like to pee in that bathroom, so it certainly was not up to my standards for infant meal prep, which forced me to continue to nurse as often as my body allowed while I was at home. I tried to pump more in between feedings on my three days off, and I’d nurse as soon as I returned from my ten hour shift, but after a while my body couldn’t keep up with the schedule, and my son was on strictly formula by the time he was six months old. Fast forward two years and my second son is born. Since this isn’t my first rodeo, I’m not worried about nursing and plan on doing it as long as possible. Unfortunately, I’m still with the same employer working a Monday-Friday eight hour shift, but I’ll deal with that after my maternity leave. I’m confident and ready to nurse, but he doesn’t want to latch. Every feeding is a struggle, and I’m worried he’s not getting any nutrients. Nurses who are very attentive and patient, assist us the best they can, and a lactation specialist struggles to help me make progress. We’re sent home having zero successful feedings under our belts. I call several area breastfeeding support groups and speak to several lactation advisers who try to talk me through it – reminding me not so subtly that breast is best and I’ll be doing my baby a real detriment if I switch to formula. I pay several hundred dollars for a hospital grade dual-breast pump and spend the next eight weeks not leaving the house, hooked up to a breast pump for every single feeding, and worried about the harm that will surely befall my new baby if I can’t keep up my supply. No one from the hospital offers any breastfeeding support once I leave. No one comes to my home or tells me to visit a healthcare facility for breastfeeding assistance. No one tells my employer that the bathrooms are still not suitable to pee, let alone to pump. It’s just me, my new baby, my overwhelming anxiety, and the seemingly constant hum of the breast pump. I switch to formula by 12 weeks. Fast forward another two years. I’ve quit my job to stay at home with my kids now, and my daughter is born. I’m back to feeling nervous about nursing given the tremendous failure the last time, but she’s a natural and I spend the next nine months nursing until I decide to wean her. There are several times where I’m stuck on a field trip, or she’s with a sitter and I’m at the doctor’s with a sick sibling and she receives formula – probably the free samples that were given when we left the hospital – but it doesn’t impact her nursing. No mother should ever feel as bad as I did after I had my second child, and by ‘Banning the Bag,’ Delaware is the third to say, “We don’t support you!” to Moms who formula feed. Every mother deserves our support, regardless of circumstance. So instead of initiative like ‘Ban the Bag,’ which clearly cast a shadow on mothers who choose to bottle feed, perhaps our time, efforts and money are better spent elsewhere. Where’s the additional education for expecting mothers on the benefits of breastfeeding? Where’s the additional support when moms leave the hospital? Where’s the support for mothers who need to return to work? This doesn’t have to be an issue that divides anyone, and if babies are being loved and fed, I don’t see it as the issue at all. We need real changes that will help new moms. I’m not Pro-Breastfeeding and I’m not Pro-Bottle. I’m Pro-Mom and you should be too. Susan McLean is a mother, blogger, and humorist who writes at The Divine Secrets of a Domestic Diva.com. Her work has been featured on The Huffington Post, Redbook.com, LA Time and more. 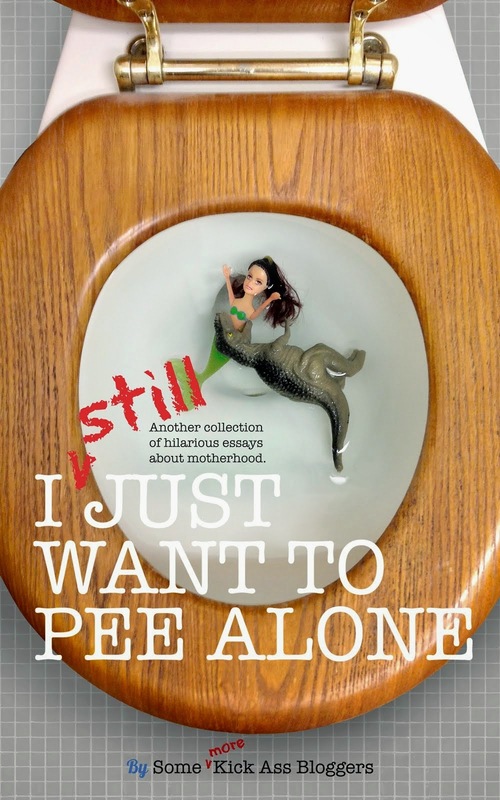 She was also one of the contributing authors to the New York Times Best-Selling Humor Anthology, I Just Want to Pee Alone. You can find Susan on Facebook, Twitter, and Instagram.